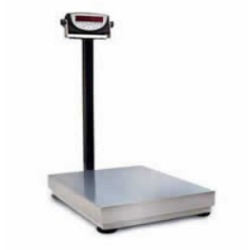 CAS BW-150 NTEP Bench Platform Scale 300 lb.CAS BW-150 is a NTEP legal for trade digital scale with 300 x 0.1 lb capacity and 15.7" x 20.7" platform. 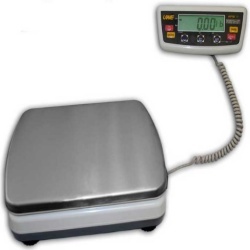 The scale has a check weigh function LOW / OK / HIGH. Operates on AC adapter included or 6 C batteries not included. 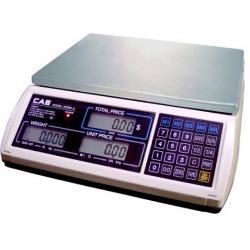 CAS LP-1000N Label Printing Computing ScaleThe CAS LP-1000N Thermal Label Printing Scale was designed specifically for the food service environment where you need to pre-pack and price items. 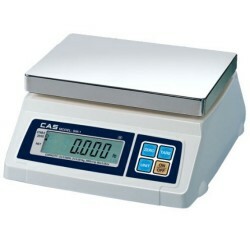 The CAS LP1000 is perfect for your deli or grocery. 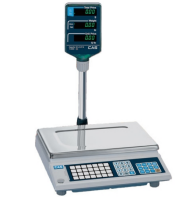 You can pre-program your items, prices, and ingredients into the scale, thus reducing errors and giving the consumer the information they require. CAPACITY: 30 x .01 lbs NTEP Approved. 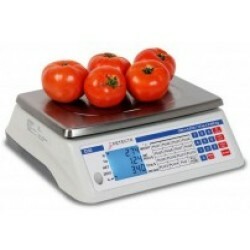 Detecto D60 Legal for Trade Market Scale 60 lb.Make selling your food and produce easy with the Detecto D60 NTEP certified trade scale. Designed for portable use with a built-in rechargeable battery pack, the D series is ideal for many retail applications. Pressing the PrePack key, after the unit price has been entered, retains that price for repetitive price-computing making the operator’s job even more simple. 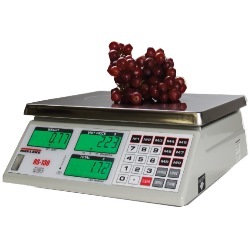 Digi Bench Scale with 120 Digital Readout 500 lb.NTEP Approved legal for trade 500 lb. capacity heavy duty bench scale system! Features large 0.8" 6-digit red light emitting diode (LED) display, RS232 serial port. 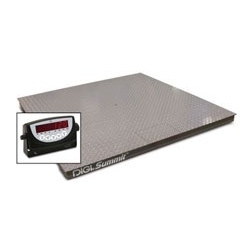 Also features selectable unit of measure lb/kg/g/oz and large 17"x21" weighing platform. 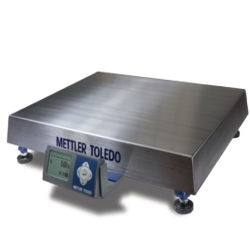 Mettler Toledo BC60 UPS Shipping ScaleMettler Toledo BC-60 shipping scales are ideal for many weighing applications & system integration is important. 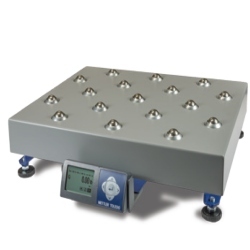 Whether at the receiving or shipping dock, stand-alone or computer-based, you get accurate weighments at an economical price. UPS Worldship Software Compatible Scale. USB and RS232 ports. Stainless Steel Platter 12.3" x 13.9" NTEP Approved. Replaces popular PS-60. Capacity is 150 x 0.05 lbs. 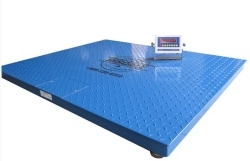 UWE APM-150 Bench Platform Scale NTEP 300 lb.Nice NTEP Approved Bench Scale. 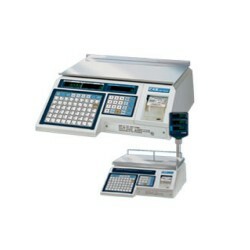 UWE APM-150 features Large LCD display which gives excellent readability in sunlight. 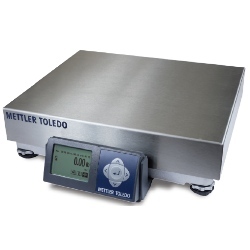 The scale is light weight which is ideal for portability, weighing only approximately 15 lbs. 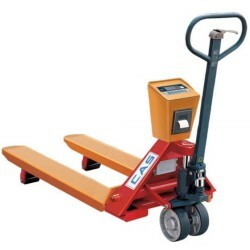 Low profile easy to load and unload platform. Reads in kilograms or pounds. Platform 11"x13" and Capacity is 300 x 0.1 lbs. Available with optional column to mount digital readout. Ground Shipping included for continental United States customers.